← New Release Cover Reveal Today! With the release of Darkness with a Chance of Whimsy now just a couple weeks away, I wanted to do something new and interesting with my author photo. In a way, I see the short story collection as the end of an era, the time when I was finding my voice and discovering who I was as a writer and what I have to say. While this question will never entirely go away, I feel like I’ve started to get a handle on this in the past five years, and I wanted to celebrate the moment alongside my most popular creations that have been so important in growing my readership. I brought this “family portrait” idea to Nell Williams, who has done several awesome CGI creations for me in the past. She was as excited about the concept as I was and brought her “A-game” to the task to make the idea a reality. So here is the official author photo as it will appear in the collection. 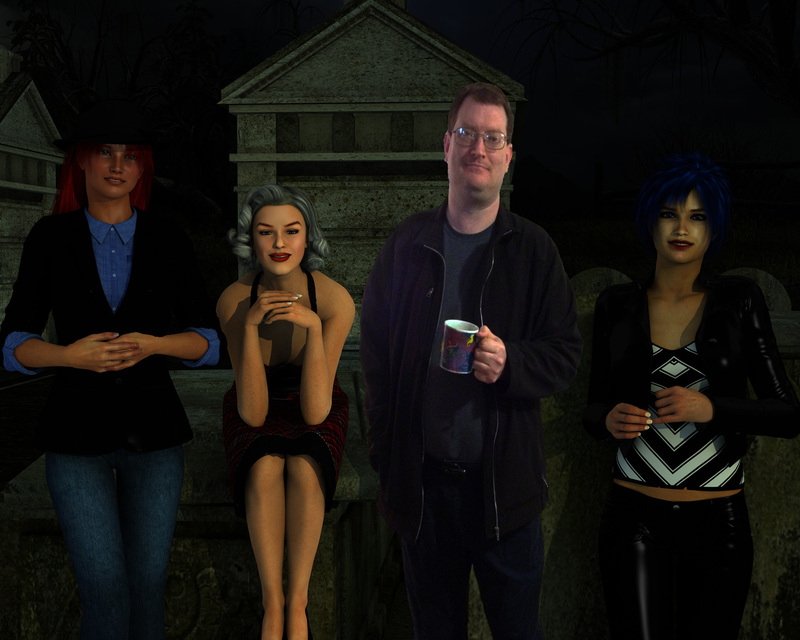 Left to Right: Rebecca Burton, Maxine Marie, me holding the Magical Mermaid Mug, and Fiona “Blue” Shaefer. 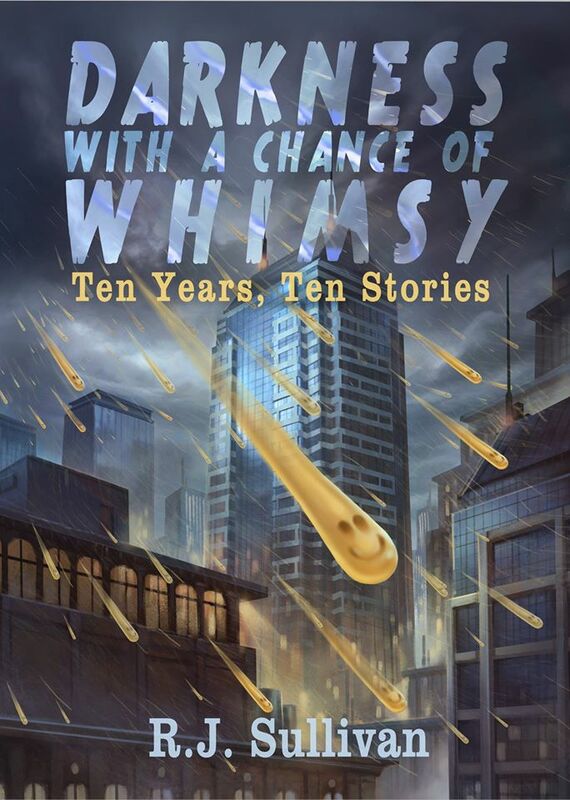 Darkness with a Chance for Whimsy is a collection of ten short stories and is on track to come out in ebook and paperback by Seventh Star Press in mid-June. I will definitely have copies of the book for sale in time for Inconjunction in Indianapolis over Fourth of July weekend. Stay tuned for more details. This entry was posted in Uncategorized and tagged Author photo, author promotion, authors, Blue Series, Blue Shaefer, Book Promotion, books, ghost stories, ghosts, Haunting Blue, Haunting Obsession, Indiana authors, Maxine Marie, nell williams, paranormal thriller, R.J. Sullivan, Rebecca Burton, seventh star press, Virtual Blue. Bookmark the permalink.